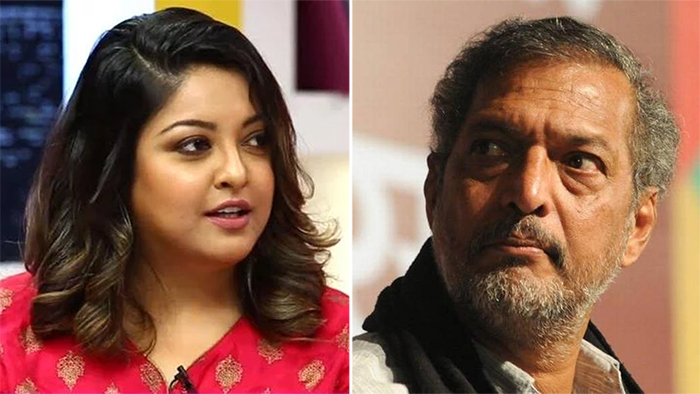 A wise old wizard and headmaster of a school of magic once said “It takes a great deal of bravery to stand up to our enemies, but just as much to stand up to our friends.” In light of actress Tanushree Dutta’s harassment allegations against Nana Patekar and his vehement denial of them, the Bollywood fraternity stands on the brink of a tough choice. On paper, both these people are their peers. But in reality, it is about supporting the truth over supporting the truth that’s more convenient for them. While one of them continues to be a part of the industry, the other’s career has already been considered finished for a while now. Ethically, this shouldn’t even be a question. However, the time isn’t up yet in Bollywood. Still, several celebrities from the film industry, journalists, TV actors, and stand up comedians have spoken out in support of Tanushree Dutta. The support gained momentum after journalist and host of Social Media Star Janice Sequeira penned a thread about being present on set when the incident occured. While a majority of Bollywood has chosen to remain silent on this, some of them have stood up in solidarity with the actress. When the likes of Farhan Akhtar, Priyanka Chopra, and Richa Chadda lend their voice to these issues, the right noise is made. A real MARD speaking up. Farhan’s support has been applauded by many on social media. Investigations will happen. But first, listen. Sonam Kapoor vouched for Janice Sequeira’s credibility and asked people to stand together in support of Tanushree. Takes a special courage to be Tanushree Dutta, says Richa Chadha. Swara Bhasker on why Bollywood’s #MeToo movement will be a long time coming. Of course alot of Bollywood stars and producers won't say anything – they are afraid and some of them should be. Be afraid, be very afraid – It begun. Actor Ashwin Mushran just destroyed one of the biggest fallacious arguments against Tanushree Dutta. "But why did she wait for so long to say something?" You guys have no idea how power works and a fear of losing a job that you need to pay all your bills… Do you? Writer Apurva Asrani called out his industry peers on remaning mum over the issue. He even alluded to Kevin Spacey’s downfall with his ‘House of Cards’ jibe. Faye DSouza joined in the disappointment over the film fraternity being unwilling to talk about such a relevant issue. Director Hansal Mehta is asking the right question, and his cynicism over how this case too shall end might actually not be too far off. Unless of course, the right people speak up. What’s more, another on-set witness has come forth and corroborated Tanushree’s account of what happened that day. Many other Bollywood bigwigs like Amitabh Bachchan and Aamir Khan have chosen to dodge comments on Tanushree’s case. And this has miffed their fans hugely. Though a few people feel Aamir, even though he dodged a direct comment, had something substantial to say on the issue, compared to Bachchan senior. However, in another revelation, Tanushree has claimed that when Vivek Agnihotri spoke to her indecently during the shoot of Chocolate, Suniel Shetty and Irrfan Khan came to her defence. Here’s hoping Bollywood wakes up or it won’t be possible to say Time’s Up to this practice of sexual harassment in the industry.